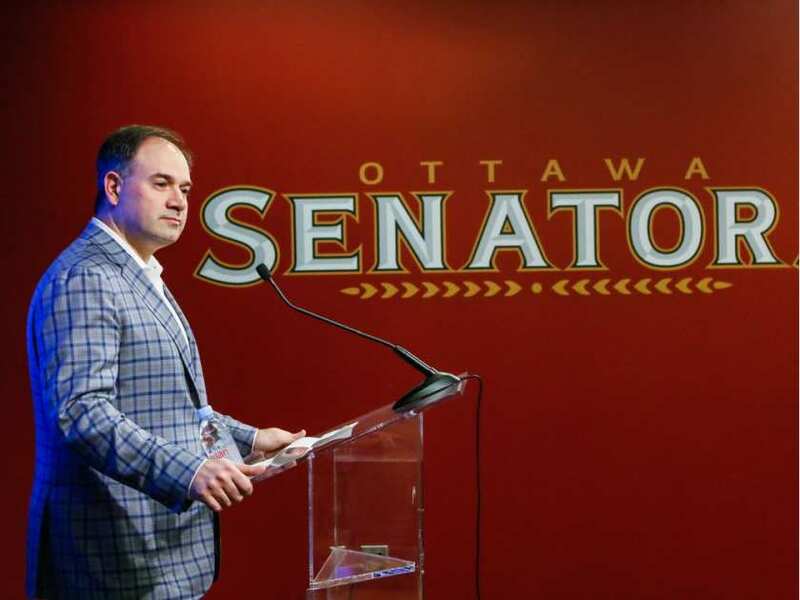 The Senators spent a lot of draft capital in the past little while, building the team that just lost out in the Eastern Conference final. As a result, Ottawa only has four picks right now, so they’re going to have to make the most of each one. Drafting at 28th, it’s not out of the realm of possibilities that the Sens trade down in order to pick up a few more assets later in the draft. This year’s class is very muddled and some teams ar likely to have first round grades on players that other wouldn’t select until the end of the second or beyond. With that in mind, here is a look at some of the possible picks for the Senators with the four picks they currently have. Strome is a big, strong power winger that has the potential to be very impactful in the NHL is he can get his skating up to even an average level. He’s got great hands and finish for a guy his size, he just doesn’t have the speed to be an elite offensive threat. He does his best work down low and in front of the net, though he is surprisingly effective as a sniper at the half boards on the powerplay. Here is a more in-depth look at Strome. Morand is a very speedy and skilled playmaking center that has great instincts with the puck. He is very creative both with and without the puck on his stick and he is able to anticipate plays in a way that allows him to both create and maintain possession. A former 2nd overall pick in the QMJHL draft, Morand has high-end skill and will just need to overcome a lack of size and strength in order to be successful in the NHL. He is the kind of player that might take a few extra years and might end up on the wing in as a pro, but Morand has the elite playmaking ability that teams desire. Another 2nd overall pick – this time in the WHL Bantam Draft – Bellerive is only an inch taller than Morand, but he has 20lbs bigger and has a frame that is much more equipped to play center as a professional. He was able to put up decent goal totals for a player available in the mid to late rounds – his 24 goals were 10th among draft-eligible WHLers. Playing mostly on the second line in Lethbridge, Bellerive is a heavy forechecking center that uses his speed to get in on opponents quickly, causing turnovers and reacting scoring chances for himself and his linemate. His biggest strength is probably his very strong writs shot. He has the type of game and makes up that makes him the kind of prospect you could easily see slotting into an NHL lineup as a third-line forward. Playing mostly as a backup to Jeremy Brodeur this season, Keyser was able to show flashes of what makes him a very popular prospect among some scouts. He will be the starter next season for a very good Generals team and will likely spend another three seasons in the OHL. He’s got a projectable frame and technique and is the kind of pick that would be made with an eye to the distant future. Every organization needs a few goalies to develop, and Keyser is a blank slate that can be brought along slowly. Previous 2017 NHL Entry Draft: Who Could the New York Rangers Select With Each Pick?